The special clothing and fabric spray is the answer to the following problem: 40% of bites are done through clothing. 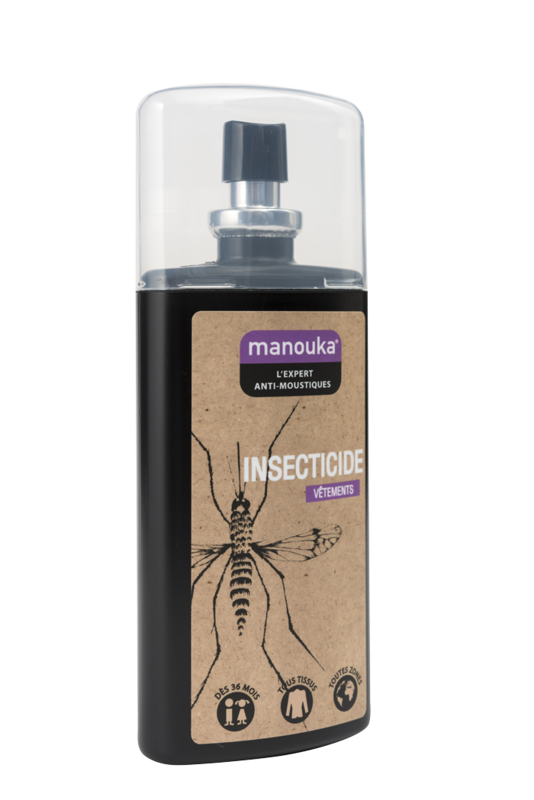 The product is simply sprayed onto clothing, linen, sleeping bags, curtains, mosquito nets, at a distance of about 20cms, in order to kill most of flying insects ( mosquitoes, gadflies, chiggers, wasps…). The active ingredient ensures effective protection indoors as well as outdoors. Kills mosquitoes, wasps, flies, chiggers, ticks and fleas from temperate and tropical zones.